The patient-centered medical home (PCMH) is a model of care established by the National Committee for Quality Assurance (NCQA) that emphasizes patient-centered care, care coordination, communication, quality, and safety. Being recognized by NCQA as a PCMH demonstrates commitment to patient-centered access, team-based care, population health management, care management and support, care coordination and care transitions, performance measurement, and quality improvement. This model is supported by robust health information technology and is focused on patient outcomes and healthcare efficiencies. A growing body of evidence documents the many benefits of medical homes, including better quality, patient experience, continuity, prevention and disease management. Studies show lower costs from reduced emergency department visits and hospital admissions, reduced income-based disparities in care and lower rates of provider burnout. 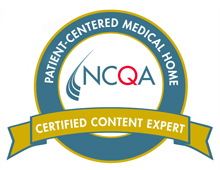 NCQA PCMH recognition is the most widely used way to transform practices into medical homes. The Xpio Health team includes an NCQA PCMH Certified Content Expert who has comprehensive knowledge of the requirements, the application process, and the documentation requirements of NCQA’s PCMH recognition program and can assist organizations in applying for and maintaining PCMH recognition. We can also assist with optimizing technology in order to better document requirements and track and report patient outcomes. Contact us today to find out how to transform your organization into a medical home.